Costa Blanca has turned into one of the favourite destinations for golf enthusiasts. In fact, there are more and more people from all over the world, especially Britons and Germans, who decide to buy a property on one of the many golf resorts to be found on Costa Blanca. Living on a golf resort on Costa Blanca has a great number of advantages. Costa Blanca offers an unrivalled climate and enjoys over 300 days of sunlight per year. So whenever you come down, you can practise your favourite sport without worrying about the rain. Golf courses are located in a beautiful setting with lots of greenery and boast views of the sea, mountain or beautiful natural spots. On top of that, you can benefit from a golf course-sized garden! Golf resorts are equipped with amenities available all year round, such as the Club House, small shops and supermarkets, all to be found within the complex. Most golf courses are located less than 15 minutes from the nearest beach and 30 minutes from the airport. They are safe areas. A bustling atmosphere during daytime and quiet one at night. In addition to all this, Costa Blanca is served by air and land transport services making it a well-connected destination. Both Elche-Alicante airport with regular direct flights from the main European cities, and its good rail and road connections with Spanish capital cities make it easier for you to organize your trip. So you can come down to Spain whenever you feel like and enjoy your home. The province of Alicante is currently home to 17 golf courses. 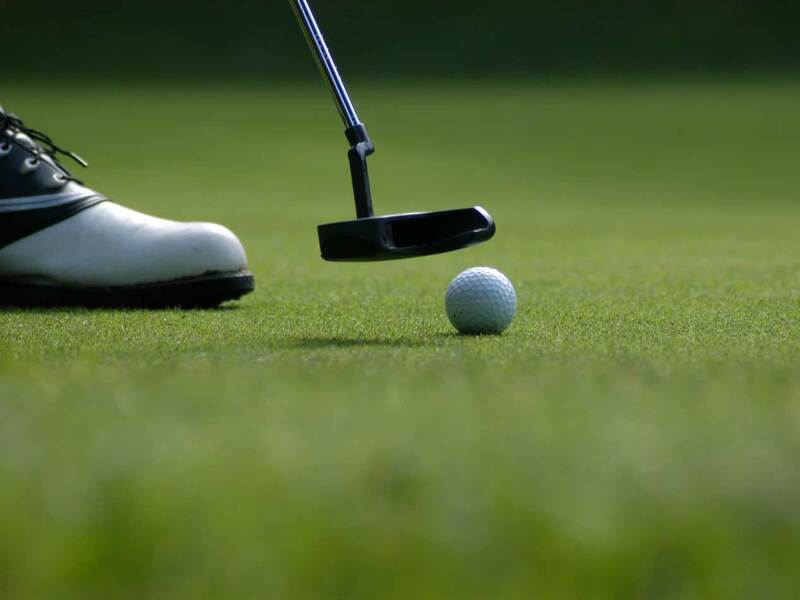 These excellent-quality golf courses offer different circuits to suit all levels. Enjoy the amazing landscapes while playing golf amidst nature. If you want to find out more about the Golf Courses Alicante offers, please, visit Asociación de Campos de Golf Costa Blanca website where you will find the technical specifications of each golf course and relevant information on different events, competitions, clubs and so on. As you already know, Alicante, besides an appealing golf offer, boasts a large variety of cuisine, leisure and cultural activities, as well as immaculate beaches such as La Zenia, Calpe or El Cabo de las Huertas which have already been mentioned on our blog.